Thailand Golfers – On-line booking of tee times for courses throughout Thailand. Includes details and photographs of courses. 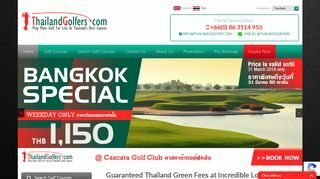 – On-line booking of tee times for courses throughout Thailand. Includes details and photographs of courses.